We have a truck service available for your orders. 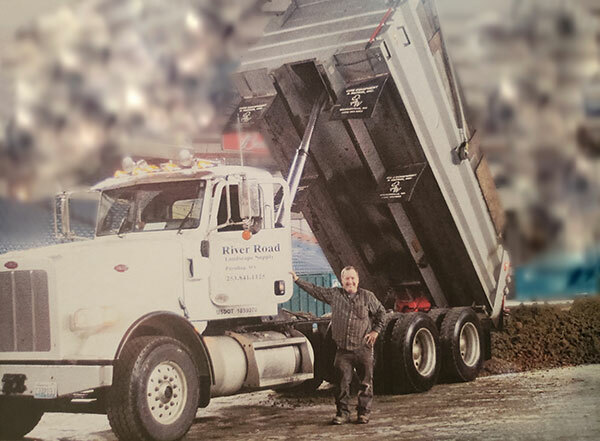 When you need landscaping supplies delivered in Puget Sound, count on River Road Landscaping and Supplies. We have 12 trucks available for your orders. Our trucks can handle landscaping supplies ranging from 1-100 yards or more. We can haul 30 yards in one load. Drivers of our truck service are highly experienced, on time and have their CDL’s. Our trucking service delivers to home sites, construction sites and landscape supply yards. Trucking is available in the greater Puget Sound area and Easter Washington. Trust River Road Landscaping and Supplies for your landscaping supply deliveries.